Wanna know my new favorite thing? Bath Bombs. I wasn't even very familiar with these babies until one day, I spontaneously decided to walk into the store Lush and buy myself one. 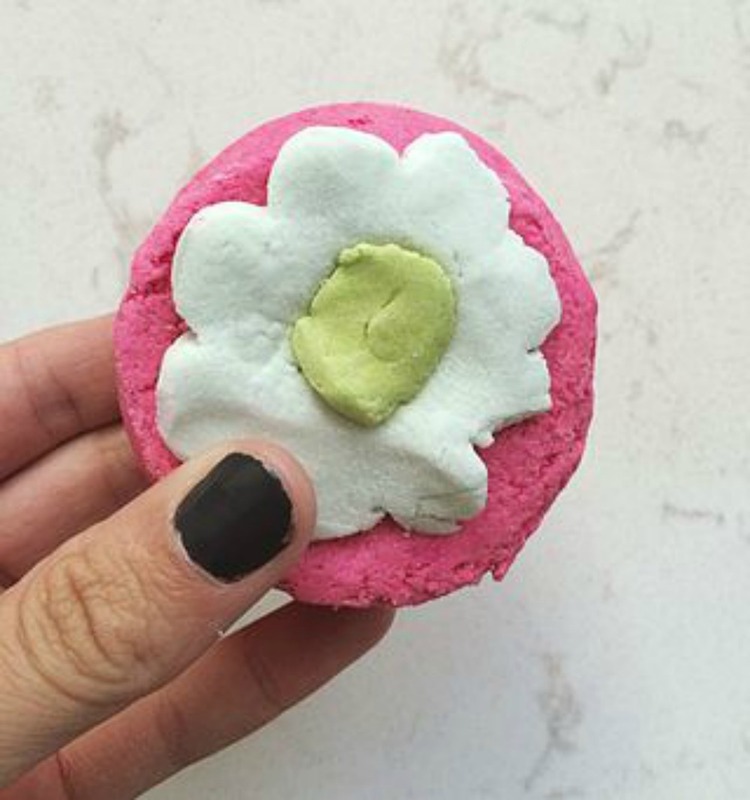 Lush is a handmade cosmetics store. Their bath bombs and bubble bars are my fave! For my birthday, Trevor got me a massive box of bath bombs and bubble bars. I have been in heaven. It's hard, because, I've been trying really hard to savor them! 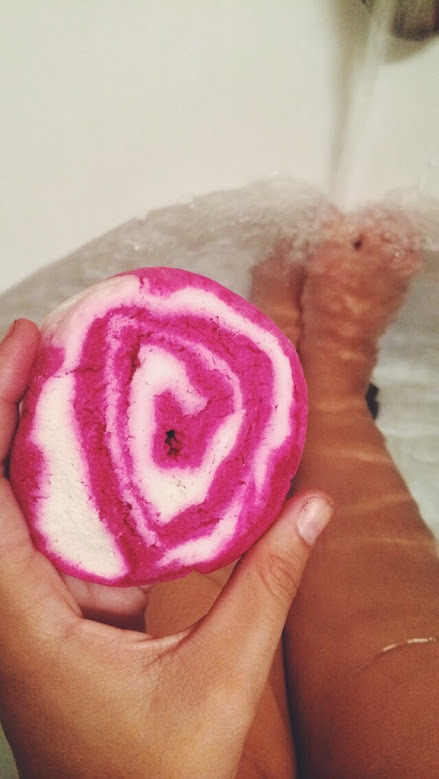 There are lots of Lush locations, but if you don't have one near you, you should probably consider purchasing at least five bath bombs online. You won't be sorry. I'm a HUGE bath person. The last few I have done have been super fun. One of them exploded bubbles all over the place. Trevor grabbed my phone and took a picture of me - it was hilarious! 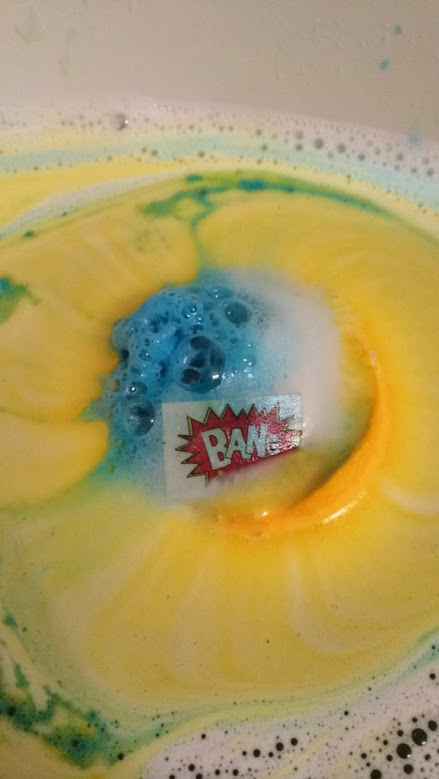 One of the bath bombs was spinning all over the tub water and it sounded like pop rocks. I look down, and saw a piece of paper that said, "BANG". These things are far too perfect. So go spoil yourself. Buy a few bath bombs. And thank me later, because I promise you will.